HYDRON® SE 230A is a water-based, single-phase cleaning agent specifically developed for the use in dip tank processes. 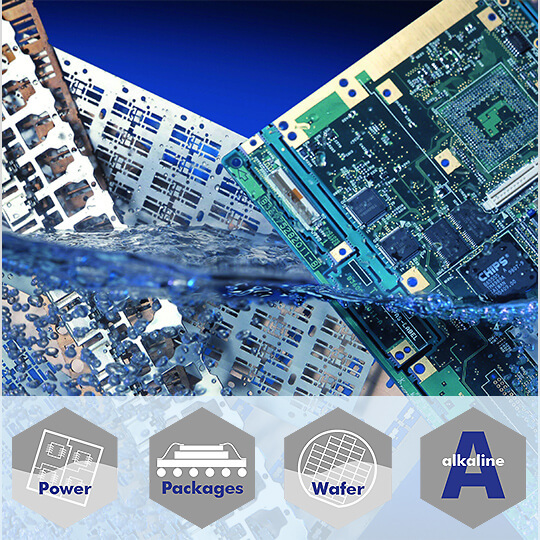 It removes flux residues from a wide range of semiconductor electronics, such as leadframes, discrete devices, power modules, power LEDs, flip chips, and CMOS following the die attach process. The cleaning agent provides excellent deoxidiation of copper substrates for subsequent processes such as wire bonding and molding.